Read more about Stickman Skate Battle on our blog! 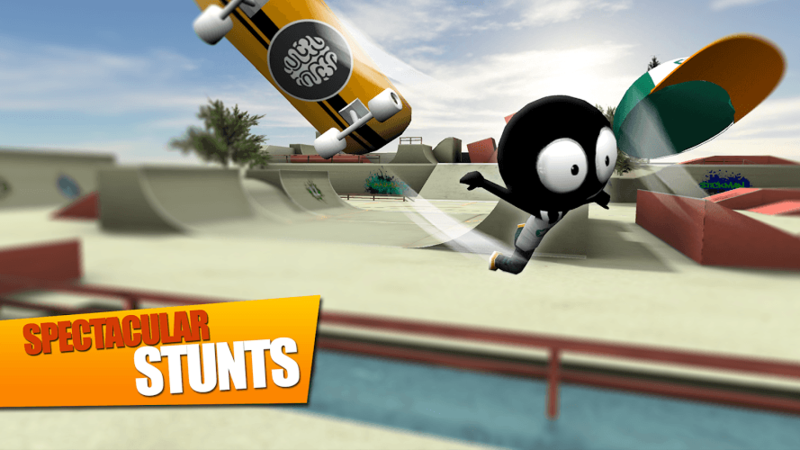 Stickman Skate Battle pits you against the world in exciting, head-to-head skateboard action. 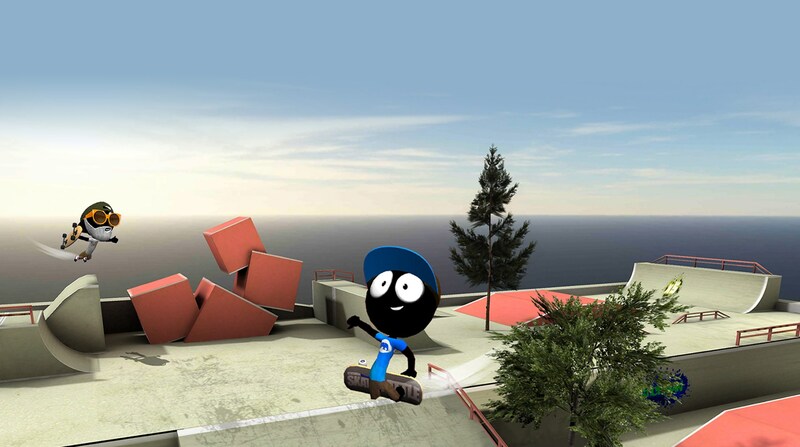 Join Stickman and all his friends as they perform crazy tricks and super stunts to become the top skater in the world. The only way to truly appreciate this game is to play Stickman Skate Battle on PC and Mac so the cute characters and smooth animations really jump out at you. 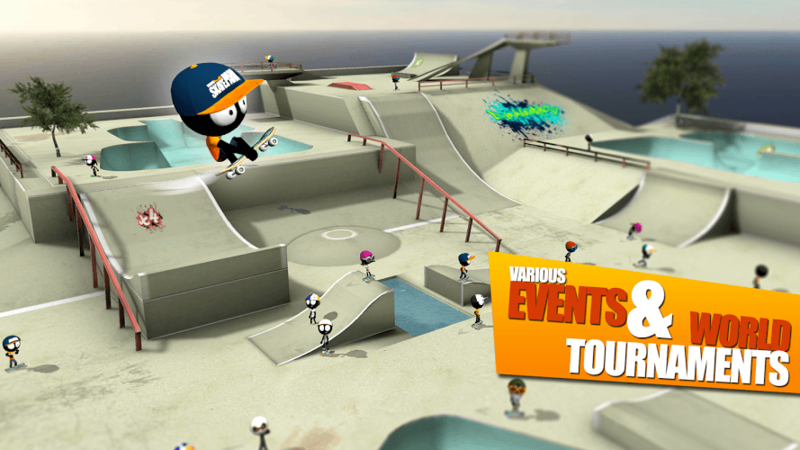 Take on players from all over the world in hand-designed skate parks created with you in mind. Multiple game modes give even the most seasoned esports player plenty to do. Reviewers all across the internet have been hailing Stickman Skate Battle as original titles with a lot to offer players. 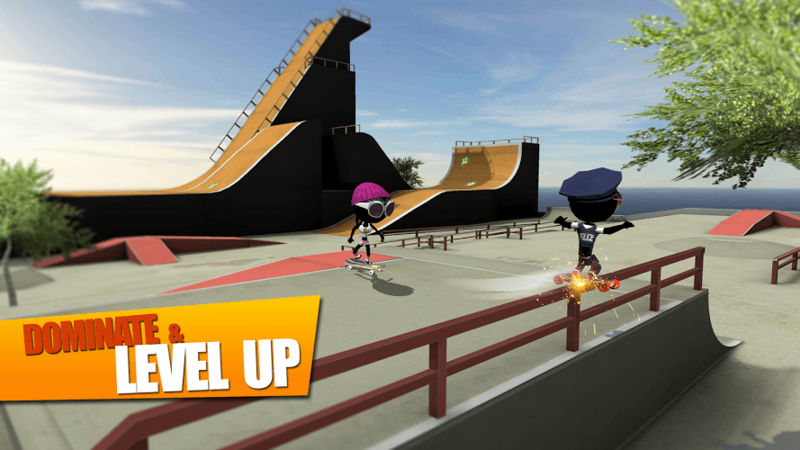 Multiple skate parks to explore with more than 20 different characters to unlock as you perform sick stunts and tricks, which includes at least 15 different special tricks to blow other players' minds. Why play Stickman Skate Battle on Bluestacks? Play Stickman Skate Battle. Redeem your BlueStacks Points. Get rewards! 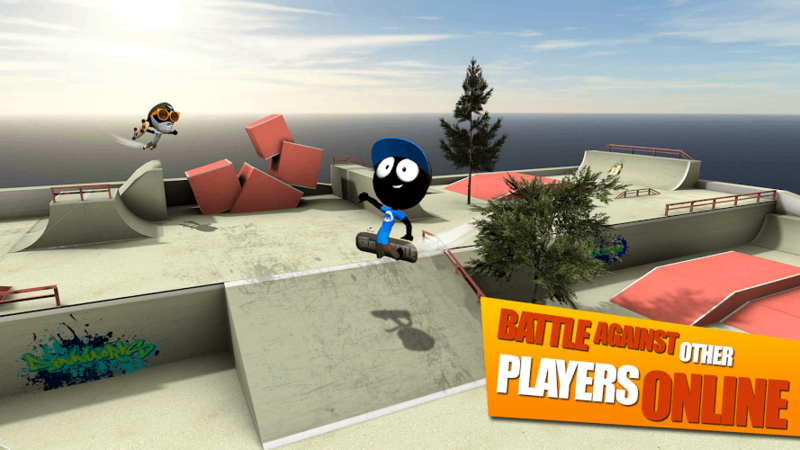 Stickman Skate Battle is a game which exemplifies the thought BlueStacks put into developing keyboard controls that feel intuitive and responsive. 6 You're all done! Enjoy playing Stickman Skate Battle on your PC. To pull off some of the truly sickest stunts in skate history, you are going to have to hit the park hard and catch major air. The best way to do this is by playing Stickman Skate Battle on your computer with the free BlueStacks app. BlueStacks enables your computer to play ANY Android video game or app by installing the directly onto your hard drive. Save space on your mobile device and experience the meaning of true gaming freedom when you can play Stickman Skate Battle as often as you want without expensive wireless contracts and devices. It's almost pointless to be an awesome skater if you aren't going to show your sweet moves and hard work off. 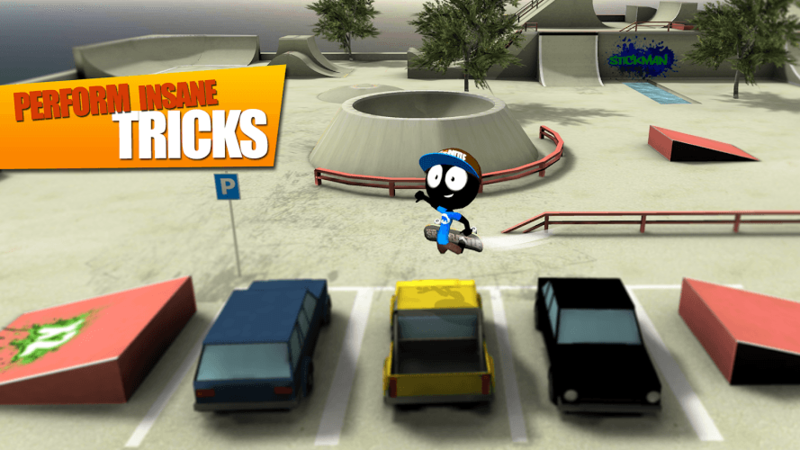 When you play Stickman Skate Battle on PC and Mac with the free BlueStacks 4 player, you can now stream every trick, competition, and skate park to players all over the internet. Use the super-easy one-click video game broadcasting controls to share Stickman Skate Battle with massive online platforms like Facebook Live and Twitch.tv to start building an online fan base and connecting with other players all over the world. It's all free with the new and improved BlueStacks 4 – connecting you like never before.